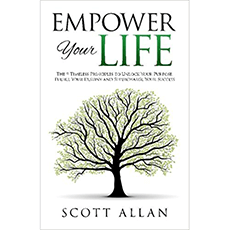 “Empower Your Life” aims to help you discover a lifestyle of purpose, create greater opportunities, and achieve success. It shows you how to master nine principles of how to create the life you want. This book is intended to teach you the core traits of successful people in order to improve your own success.